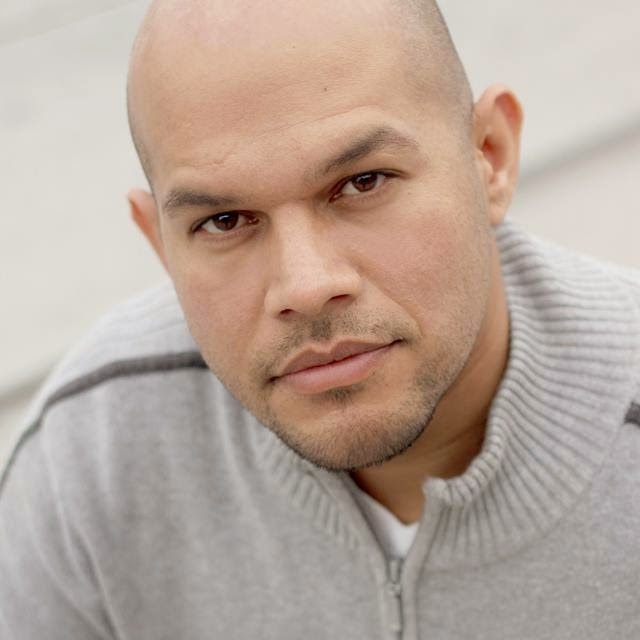 Actor/director Emanuel Loarca, founder of Akabal Theatre, is the creator and director behind the play Under My Skin running March 26th – April 23rd at the Macha Theatre in WeHo, Thursdays at 8PM with a pre-show in the lobby starting at 7:30pm. You’ve performed in more than 90 plays as an actor. How did you get started directing? What was the first play you directed? When I was 18, I met the late Alba Oms, my beloved acting teacher and director whom I studied with for several years at the Puerto Rican Travelling Theatre. She mentored me and showed me the ropes. The first play I directed professionally was Blood Wedding at Teatro el Puente in Brooklyn, New York. It was there that I learned the importance of community. I was so inspired by those kids who came from difficult backgrounds and challenges. They showed me that you can do anything you put your minds to. Tell us about Akabal, the theatre company you founded. As an actor, I got tired of the stereotype, one-dimensional characters I would get called in for. I wanted to tell stories that could empower our American Latino Community and also help me develop my craft and I wanted a place to create original works that would be poignant and funny and always celebrating the human spirit. The name Akabal comes from the Mayan. It is a sign that means knowledge from the past enlightens the future. What was the genesis of this play? Where did the idea come from? How did you find the source material? Several years ago, I was sitting in the Village at the Ed Gould Plaza (Los Angeles LGBT Center) when I came up with the concept for Under My Skin. Originally, I wrote it as a one-act, with the idea that I would one day develop it into a full length play that I could direct. In 2014, Akabal Theatre, the company I founded, was given the opportunity to produce the play at the One City One Pride Festival with the proviso that besides the topic of love, the play would also address marriage equality for disenfranchised communities; I wanted to make the play about the human experience and not about sexual choices or the sexual act. I called in favors from international writer- friends of mine, and they responded with poignant pieces. From those pieces I learned about the challenges culture, religion and traditions have in the lives of people who love differently. While at a wedding, six characters share their personal experiences, based on real life stories about being different, being rejected, and just wanting to be loved unconditionally. This drama explores with humor what lives under the skin of survivors of intolerance, homophobia, and transphobia enhanced with song, and movement celebrating the joy of culture, unbreakable faith and the power of self-acceptance. The play is performed in English and Spanish with subtitles in both languages. “Under My Skin” was the only theatre piece invited to perform at the One City One Pride LGBTQ Arts Festival. How did it go? It went amazingly well. It was standing room only. The Akabal creative team and cast felt so honored to have the opportunity to share our voices, our stories with a different audience, in a different language. The play was followed by a Q & A. It was such a beautiful night! What would like to see as a result of someone seeing “Under My Skin”? I hope everyone has a great time and that the play makes them think and challenges old information, and brings communities together with more compassion and understanding. Is there something else coming up for you---something you’re preparing to direct, or as an actor an upcoming appearance in film, TV, or theatre? Is there anything else you want us to know about you, Akabal, or this play? Everyone involved in the Akabal Theatre production of Under My Skin is thankful for all the love and support from friends and followers. This is what fuels us to continue to create original works of and for social awareness.